Beautiful contrasting colors. I do wish there were Cardinals here. Beautiful colors! As a bonus, the red color even sings! Gorgeous shot! The colours are very pretty. A great post for the theme! 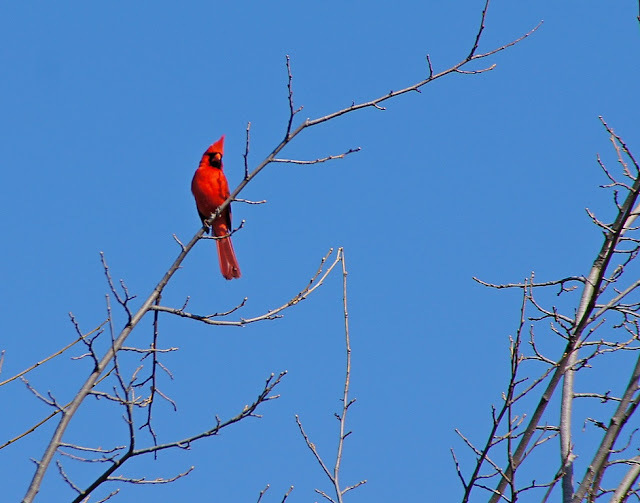 Beautiful spot of red against the bright blue sky! I so love these birds and I love this photo as well. That is a remarkable colour contrast - great picture.